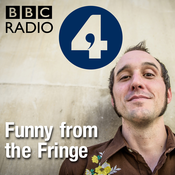 Phil Ellis heads to the Edinburgh Fringe Comedy Awards ceremony to talk to the winners Hannah Gadsby, John Robins and Natalie Palamides. 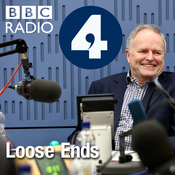 He also catches up with 1997's Best Show award winner The League of Gentlemen. Day 23: Al Porter, Rachel Fairburn & Stuart Laws. Phil Ellis chats with Irish presenter and comedian Al Porter while Rachel Fairburn and Stuart Laws discuss their shows and offer advice to other comics in our Edinburgh Agony Aunts feature. Phil chats with Best Show Award Nominee Jordan Brookes and character comic David Earl as Brian Gittins and we have a quick hello from the Best Newcomer Award Nominees. Day 21: We're joined by Desiree Burch. Sunil Patel and Harriet Kemsley and all the nominees for the Edinburgh Comedy Award! Day 20: Richard Gadd gives us the lowdown. Andy Field and Lucy Pearman join Phil and Rhys James gives us a poem. Richard Gadd, Andy Field and Lucy Pearman. Also, Rhys James gives us a poem! 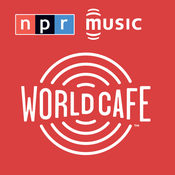 Lyt til Funny from the Fringe, World Cafe Words and Music from WXPN og mange andre stationer fra hele verden med app'en radio.dk.